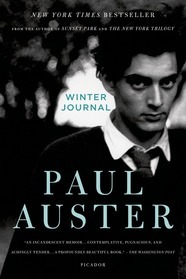 Paul Auster is the bestselling author of 4 3 2 1, Winter Journal, Sunset Park, Invisible, The Book of Illusions, and The New York Trilogy, among many other works. His most recent novel 4 3 2 1 was just selected for the 2017 Man Booker Prize longlist. He has been awarded the Prince of Asturias Award for Literature, the Prix Médicis étranger, an Independent Spirit Award, and the Premio Napoli. He is a member of the American Academy of Arts and Letters, the American Academy of Arts and Sciences, and is a Commandeur de l’Ordre des Arts et des Lettres. He lives in Brooklyn, New York. "That is where the story begins, in your body and everything will end in the body as well." On January 3, 2011, exactly one month before his sixty-fourth birthday, internationally acclaimed novelist Paul Auster sat down and wrote the first entry of Winter Journal, his unorthodox, beautifully wrought examination of his own life, as seen through the history of his body. 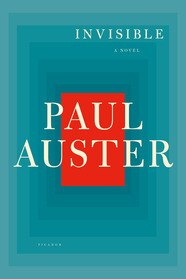 Auster takes us from childhood to the brink of old age as he summons forth a universe of physical sensation, of pleasures and pains, moving from the awakening of sexual desire as an adolescent to the ever deepening bonds of married love, from meditations on eating and sleeping to the "scalding, epiphanic moment of clarity" in 1978 that set him on a new course as a writer. An Evening With Paul Auster Paul Auster talks about his books, as well as the writing process and inspiration behind them, in this intimate, fireside-chat-style discussion. Check out Paul’s latest novel, 4 3 2 1, on the 2017 Man Booker Prize longlist. Check out this exclusive web interview with Paul from The Brooklyn Rail. Read a review of Paul’s work from The New Yorker. Check out The Guardian‘s profile on Paul. Listen to interviews with Paul on WNYC and NPR’s All Things Considered. Learn more about Paul Auster on his website and browse more of his works here. 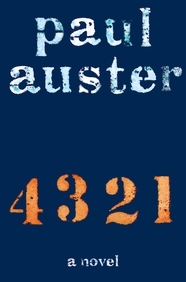 "Auster has an enormous talent for creating worlds that are both fantastic and believable. . . . His novels are uniformly difficult to put down, a testament to his storytelling gifts."